I’m never quite sure what to make of Morris’s views on evolution. He’s happy to be known as a Christian, and happy to be considered heterodox by the Neodarwinian establishment – he himself (and he says many others) considers the Darwinian explanation incomplete, like Newtonian physics waiting for Einstein. That in itself is enough to sink the claim that there is no controversy about evolution within biology. A good part of organic systems rely on self-organisation. You know – that things click together. They do that, from our perspective, almost effortlessly; yet there is no general theory to explain how that happens. We don’t actually know what life is at all. The manner in which life constructs itself must be dealing with some other principle which we’ve failed to identify. I do sense that biology in particular is running into something of an impasse, especially when it comes to consciousness. We have a whole set of explanations, and I don’t think any of them work at all. Which may mean that these things are beyond our comprehension – we simply won’t know. But I have a sneaking sense that this is not true, and that means that the world around us is organised in a rather interesting fashion. And yet, for all that, the article says quite clearly that he’s not suggesting that anything mysterious is at work (“I’m not saying we should go back to vitalism or anything like that.”) It’s actually hard to be sure what he is saying – maybe his position is a bit like that of Keith Fox, Professor of Biochemistry at Southampton University, who in debate with Stephen Meyer conceded that the origin of life might turn out to be a chance event of infinitely low probability, but even so theres nothing irrational or unscientific about it. In such areas the distinction between acceptable science and unnacceptable Intelligent Design, or even miracle, seems to be purely semantic. And an odd distinction to make, for those scientists who like both Fox and Morris who are avowedly Christian. The real start was when my mum gave me one of those little books for children where you had to tear out these big stamps of dinosaurs and stick them down in the right area. And something about that just triggered my imagination. …then it was the same book that started my own lifelong fascination with prehistoric life when I was six. I discovered a little while ago that the book I got next, The World We Live In (for Christmas in 1958), was the trigger for Robert Bakker’s career as a dinosaur palaeontologist. It’s amazing what the world owes to the unsung writers of kids’ books. Yeah, he seems to be a tough nut to crack! “Q: So you accept the Christian – you’re a church-going Christian at the Church of England. You accept the Christian narrative – what does, what does that mean for you? I doubt he’d call himself ‘Darwinian’ in some senses, while he affords more scientific respect to Darwin than most IDists do. And he opposes Creationists, which mainly for (evangelical Christian) funding reasons, the DI doesn’t usually do. IDists say they want to speak about ‘science,’ but not about ‘age of earth’ science. SCM rejects ‘design/Design’ in the CE, but accepts design/creation/inbreathing/purpose/etc. as a religious believer. Does this make him either self-contradictory or rather safely and even perhaps properly reserving ‘design’ for fields outside of natural-physical sciences? The IDM insists upon ‘design’ into biology, while BioLogos insists upon evolution in theology. Is there a healthier balance than SCM’s to be found across the Atlantic? On the Cambrian Explosion I see Meyer is said to have a book coming. I do hope it interacts both with Morris’s work on the relationship of the Burgess Shale fauna to the present phyla, and also with the recent hints of earlier development of some of the innovations which appear still to require explanation, but less in Cambrian Explosion terms. Hi, Jon. Interesting comments once again, and thanks for the photo, which evokes sentimental memories. 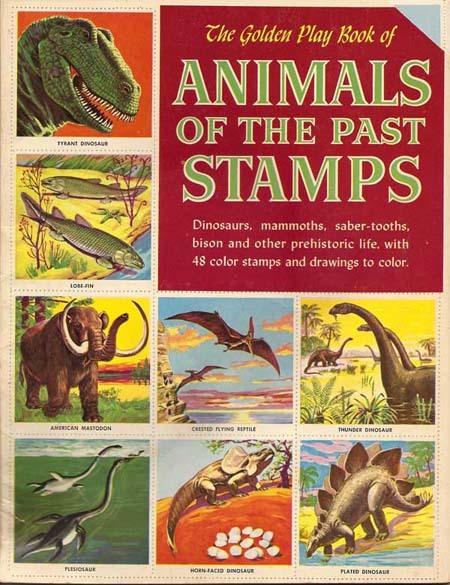 I never had that particular book, but I had other “sticker books” and many other children’s books on prehistoric life — which drove me, at least for a time, into the study of natural science and evolution. You are right that Simon Conway Morris can get away with statements that a commenter like myself or yourself would be savaged for on Biologos. And the cause for CM’s immunity, of course, is that the scientific pipsqueaks on Biologos (including not just the anonymous commenters but also the regular columnists) wouldn’t *dare* to say a word against a man whose accomplishments in the evolutionary biology field dwarf all of their lifetime research on evolution combined. I share your puzzlement about Conway Morris’s current position. He is saying a number of things which indicate that he has a common criticism of Darwinian theory with the ID people — but clearly he doesn’t want his name associated with the ID people, so he no sooner says something than he partly backpedals. James Shapiro is in a similar position. What is happening, it seems to me, is that a number of mainstream evolutionary biologists find themselves (as Lynn Margulis did) in agreement with ID on the negative side — regarding the incompetence of RM + NS to explain what we observe — but they are acutely aware that if they phrase the criticism the wrong way, they will be accused of believing in miracles, interventions, or even something so modest as design. They want to maintain the respect of the scientific community, after all. I like your final formulation: “I believe the proper purpose of science is its original one: How in the world did God do that?, rather than, Do we really need to invoke anything unnatural to explain this?” Surely Newton and Boyle would agree with this. And surely they would have said that whatever he did, it involved design. Coyne, Moran etc have done just that, using terms like “closet creationist”. It’s not so much that they believe it, but want to impose “discipline” to get Shapiro back onside. The question is, what “side”? As your comments show, the dividing line between “approved” and “heretical” is hard to pin down, and BioLogos, where you’d expect the divisions to be broken down more, exemplifies this. Morris is quotable, Behe is execrable. Ayala gets articles, but Dembski gets derision. The actual tribal division appears to be whether you are “on the side of science”. If you could pin down what that actually means, maybe you’d arrive by the back door at a working definition of what science actually is, sociologically speaking. There’s a project for Steve Fuller or someone. Yeah, this is tough to call and depends on which ‘tribe’ one is referring to and speaking from within. The ‘USAmerican evangelical Christian’ tribe seems to have the biggest problems with ‘(neo-)Darwinism’ of anyone out there. Why? They seem to believe it challenges their view of Scripture. This is echoed by the surprisingly large numbers of USAmerican evangelical Christians who ascribe to ‘biblical literalism’ (and the peculiarly Protestant doctrine of Sola Scriptura). Given that neither myself nor Jon nor James nor Cal nor Penman are USAmerican evangelical Christians, we are all speaking from the ‘outside’ on this topic. We cannot ‘feel’ how ‘they’ feel as if giving up YEC would be seen as an afront to their personal religion, to their identity, to their meaning of life. With its indisputable links to the Protestant USAmerican evangelical community, ID thrives on this personal feeling, which is what enables its funding base to continue to exist. This is why their ‘big tent’ takes no stand on age of earth. Simon Conway Morris is catered to by both BioLogos (last I checked, he is considered a ‘BioLogos’ friend) and the IDM (e.g. interviewed in Darwin’s Dilemma). Would anyone here consider SCM philosophically and/or more important sociologically naive? Sure, he’s a ‘paleontologist.’ But that doesn’t make him sociologically mature or capable in the least…or perhaps he is politically clever? For example, if he would reject ‘real, historical Adam and Eve,’ that would suggest anthropological and sociological challenges to orthodox theology that a mere ‘philosophy of ideas’ approach could never achieve alone. This was the position taken by JamesR at BioLogos – anti-Adamic history. This leaves appropriate ‘orthodox’ space for belief in ‘real, historical A&E,’ as a good Anglican Archbishop should (in keeping with Church tradition). Whether one wishes to restrict themself to the single signifier ‘design’ or not is less important than that they recognise that “there is a point which” enables the possibility of a ‘real, historical A&E,’ which is the orthodox position of the the Christian Church (as well as Jews and Muslims), sectarian Protestants (such as BioLogos), liberal or so-called Canadian-Conservatives, aside. If you’ll check the record, Jon, Falk actually admitted Dembski is indeed a nice guy (and I trust his sincerity), but that Dembski’s ‘design in nature’ as a ‘natural science’ approach is disreputable (especially without any recognition of reflexity!). Given Dembski’s promise of ID as a ‘bridge’ between ‘(natural) science and theology,’ it makes no sense to pretend that Dembski is only concerned with science, and not at the same time with theology or philosophy. What’s the problem with teaching ID in philosophy, religious studies or theology classrooms, rather than in natural sciences, iow, admitting transferability akwardness post-Paley of ‘design’ from architecture, art, engineering and human-social sciences into (that smaller realm than usually thought) natural-physical sciences? The foot soldiers trained by buying or receiving and regurgitating ID published materials simply don’t understand the holistic picture on this topic and they fake appropriateness of transfer too easily without thought. James’/IDMs position boils down to ‘because God exists, there must be design.’ This is just as Timaeus said to me on UD recently – because he first believed in God, he therefore believed in ‘intelligent design.’ Otoh, BioLogos’ position boils down to ‘because the Logos exists, God must be active in biospheric evolution.’ Logos, according to the latter, is an active and not just a passive or static term. Would cancelling out the extremes in this conversation lead to a hopeful middle-ground regarding ‘what science actually means, sociologically speaking’? The audience of the conference I presented at this weekend seemed to think there was hope of navigating between the extremes. Though I briefly raised the idea of ID with them, none were interested; their questions and comments to me were bigger and broader. It seems that Europeans are not as easily sucked-in to the idea that ‘intelligent design’ (California, 1993) is an appropriate conclusion in ‘natural science’. Conway Morris is included in this non- or anti-ID perspective. Heaven help him for treading a middle ground! There are actually two different concepts here. Rowan’s “call from God” seems to entail a range of possibilities from biological intervention (tinkering with the machinery), through spiritual intervention (some concept of “soul”) to a purely communicative intervention – literally a call from God. All would be orthodox, but only the first properly amenable to the physical sciences. But it is in that restricted area that ID claims to have a foothold – they’re interested in the biological, because I think they’d doubt that design inferences are properly applied to souls and still less to covenants (the first can’t be examined and the second are unquestionably designed, only the agent being in question). And as you know, “design” in that restricted sense needn’t, however, be restricted to “tinkering” – frontloading of the cosmos (my impression is that Morris favours some variant of this), or a teleologically endowed biosphere self-directing also fit. Denton seems to like the idea of the first producing the second. Yes, Plantinga, and as I posted here, Kreeft’s ‘design apologetics,’ or ‘argument from design’ broadly so-called. Fuller is obviously right that the original ‘ID’ is properly called ‘theodicy.’ The IDM is sadly and continually unholistic in stating that ‘ID IS SCIENCE’ and that it has nothing to do with theology or philosophy. Please do say more about this evangelical-reformed Protestant lack of holism. The USA is the country which has produced literature such as “Selling God.” This is a hyper-market society, as I’m sure you’ll recognise given comparison with your musical gig posts. So do you, Jon, support the endowment of a ‘design movement,’ more broadly conceived than THE intelligent design movement (cf. Discovery Institute, Seattle Washington). What does “wider than the ID movement mean to you? I have a suspicion that James is neither a USAmerican citizen nor committed to USAmerican DI’s ‘movement.’ If so, why is he not ready to openly distance himself from that movement, which he seems to presume gives him some kind of global communicative power (e.g. via UD)? More importantly, if a new conceptualisation were to ’emerge’ that trumps *both* ID and TE/EC, would James and Jon be ready to embrace it, i.e. to fully drop ‘designist’ linguistic ideology along with theistic evolusionism or evolutionistic creationism? It seems to me that JamesR has tied himself too tightly to the IDM linguistically and ideologically to ever consider even the possibility of an alternative scholarly view such as post- or neo-intelligent design. Thanks for your point about Moran and Coyne. Interesting that they should take that line about closet creationism. But as you say, they cannot privately believe it of Shapiro; it’s just a debating tactic. But they can accuse Conway Morris of it, since he has affirmed Christian belief. They can suspect that his emphasis on convergent evolution is a sneaky way of talking about guiding or planning. And truth be told, Conway Morris cannot really answer the charge without being much more explicit about the relation of God to evolution than he has been. Please do say more about this evangelical-reformed Protestant lack of holism. Most of my criticism of American Evangelicalism occurred in another – pre-Hump – journalistic career, though I don’t preclude coming back to it. However, I wouldn’t lump together lack of holism with spiritual commercialism and still less with the Reformed movement. Though doubtless national approaches cross sub-cultural divides, I’d put both on a continuum more with the Wesleyan-Pietistic-Finneyan tradition. By and large the Reformed tradition has been more sympathetic to science (Warfield et al), more holistic in its approach to society and knowledge (popularly Schaeffer, Guinness etc) and more critical of attempts to squeeze God into commercial or political agendas. Few Televangelists are Calvinists. As for post-Intelligent Design I think we should keep individual posters here out of it – it’s the issues that are worth discussing more than those proposing them. I’ve only referred to Simon Conway Morris because he is, to an extent, a public figure making public declarations (but mainly because we appear to share childhood reading habits!). As for me, I can only say how I’d respond to new conceptualisations when they’re actually on the table. It would be more likely that any such new thinking would entail, like TE and ID themselves, ideas to draw from rather than a paradigm to embrace. My “wider than ID” phrase was intended to refer to God as Creator: believers everywhere know as per Romans 2 that God’s wisdom and power are displayed in what he has made – ID is a subset of that thinking that, rightly or wrongly, says that these intuitions can partly be demonstrated scientifically. In that sense ID relates to the broader scientific study of design in a way that faith intuitions about God (design discourse?) does not. Natural scientists’ attempts to encroach on HPS by invoking evolution rather than (human) design may bear some relationship to the ID/Darwinist debate, since the denial of teleology provokes both. But showing a true dysjunction between the processes of human design and biological processes would not diminish my conviction of God’s sovereign oversight of the process. He would still be its first cause in the same “designing” sense that my mind is the first cause of this post, regardless of the mechanics of the brain, the electronics of the internet and so on (see Ed Feser’s recent post http://edwardfeser.blogspot.co.uk/2012/03/scruton-on-neuroenvy.html). Q – Do you believe in a God who intervenes in the natural world? A – Yes… With regard to the New Testament narratives, unlike many fashionable Christians, I regard the so-called nature miracles as correct. I think they actually did happen. And I’m surprised there aren’t more of them. Q – By “nature miracles” are you talking about healing miracles? Or the stories about Jesus and the Virgin Birth? A – Yes, any one of those, like walking on the water. I can see all the materialists saying “He doesn’t really believe that. How pathetic!” But if the person who made the universe shows up, He’s in charge, right? So if He says to a storm “Shut up!” of course it’s going to shut up…. if a Creator turns up in His own creation, what on earth do you think is going to happen? When you re-read the Gospels in particular, I think they suddenly become alive in a very interesting new way. I see an internal coherence in these narratives. Of course the Resurrection is the miracle to end all miracles. If that happened, which I believe it did – I believe the tomb was empty – then all the other miracles are peanuts. I realize these statements will appall some people. But I’m not the only one to believe in them. From an extended interview in “Atoms and Eden” ed. Steve Paulson OUP 2010. I could extract more on C-M’s views on evolution, ID, etc, if anyone’s interested. Yes, I’d be interested to hear more about SCM’s views on evolution, ID, etc. Does he make clear his reasons for rejecting the IDM and/or ‘Big ID’? Yes, the appeal to community-Kingdom. Most IDists believe in them too. BioLogos people seem more uncertain about miracles but not no less hopeful about the community-Kingdom. I remember Arthur Peacocke answering that he wanted more ‘evidence’ for miracles when an Orthodox Priest personally challenged his panentheism. Pan-designism would of course hold serious consequences for theodicy, as does universal evolutionism. The responsible position would seem to seek a balance between these extremes. Yes, wrt ‘new thinking,’ EC and ID are both ideologies that draw on outdated paradigms; EC on ‘evolutionism’ and ID on Paleyan ‘design’. Why use outdated language when newer language, e.g. post-Paleyan ‘design’ (e.g. Prigogine) is possible? Paradigm can be compared with narrative, heuristic, framework or even worldview; in this meaning we all ’embrace’ or make use of these notions in forming our sense of life. I agree that “God as Creator” is “wider than ID.” It is noteworthy that much of the impetus for ID is a response to ‘creationism’ being banished from public schools in the USA. This is not usually the way that new ‘paradigms’ are introduced. But then again, who really can predict the rise of a new way of thinking that fundamentally/radically changes our perception of nature, society, culture, politics, religion and the world beyond? Thanks for those quotations from Simon Conway Morris. What I don’t understand is why, since he has no objection to God violently altering the normal pathways of nature as the Son, he would have any objection to God doing the same thing as the Father, e.g., by engineering the Cambrian Explosion. There seems to be an assumption among TEs that God’s preferred mode of creative activity is to work wholly through purely natural causes, and that he only departs from that mode when he wants to reveal something to human beings. But I don’t see where such an assumption would come from. I don’t see anything in the Bible or tradition that would demand such a sharp partitioning. I have no problem with saying that God could have chosen to create through wholly natural means, but I don’t see why that position should be the default Christian explanation, as it seems to be among TE/EC people. At least, I don’t see the theological justification for this. I do see the historical reason — the apparent success of modern science at explaining the origin of things through natural processes that previously were thought to require special actions of God. (For example, the origin of stars and solar systems through the action of the law of gravity on clouds of hydrogen gas.) I think there is a widespread fear among Christian scientists (and other Christians) that if they draw any lines, and say that X could not have occurred naturally, but only through direct divine involvement, then, if we ever discover a natural origin for X, Christian faith will be threatened. But while I agree that it would be unwise to make faith depend upon such arguments, it still doesn’t follow that God must have used only natural means to, say, create the first life, or create man, or created major new biological forms. He may have; but he needn’t have. Thus, at this point, it seems to me that professional commitments come into play here. Conway Morris is a paleontologist and paleontologists have naturalistic commitments. I think he wants to remain a part of the paleontological fraternity, and to do so he must play entirely by its rules. For this reason, he is willing to accept historical miracles, which don’t directly concern paleontology, but not any notion of intervention in biological origins, which does. I see why he needs to do this in order to hang onto both his paleontological and Christian commitments; what I question is whether this sort of split is based on any coherent principle of Christian theology, as opposed to the prestige of modern science. I find that among ID proponents both interventionist and non-interventionist explanations of origins are explored and discussed, whereas among TE/EC people, interventionist accounts are generally regarded as somewhat low-class, for the riff-raff or unenlightened. It’s not as if ID people insist on miracles and TE/EC people insist on natural causes only; rather, it’s that ID people are not at all offended by direct creation, whereas TE/EC people tend to regard that option with a kind of intellectual horror. Thus, while TE/EC people never formally deny the possibility of direct divine involvement in origins, and in some cases may formally acknowledge it as a possibility, there is a clear difference in approach. We appear to be dealing here with differences which go beyond scientific ones, but are in fact preferences concerning how God should act and what the world ought to be like. Why is it that ID people tend to one side, and TE/EC people to the other? I suspect that we cannot understand this without going back to the Enlightenment and its effect on subsequent theology. Penman, Gregory, James – I’ve responded to this line of thinking in a new post. Re: SCM, the guy got his BSc before I was born. Nevertheless he is wrong, wrong, wrong regarding ‘convergence’ specifically related to reflexive humans interpreting ‘natural’ evidence. As a paleontoligist, SCN is quite obviously un-‘humanitarian’ (go have a talk with Rowan Williams), at least in the way I mean it coming from my local dialect. ‘engineering the Cambrian’ is a telling linguistic sign. Oh yeah, in case anyone forgot, paleontologists are ‘natural scientists.’ I’ve yet to hear a convincing story of how a ‘natural scientist’ could fail to also be a ‘naturalist’ in the post-Darwinian era. Links or references are welcome as counter-examples. No, really, are you serious? Could it be? ; )) That sounds so un-IDM(science-only)-ID! In response to SCM, my textual voice is now expressed on UD, thanks to Jon’s link, in case James or others here would wish to respond there.